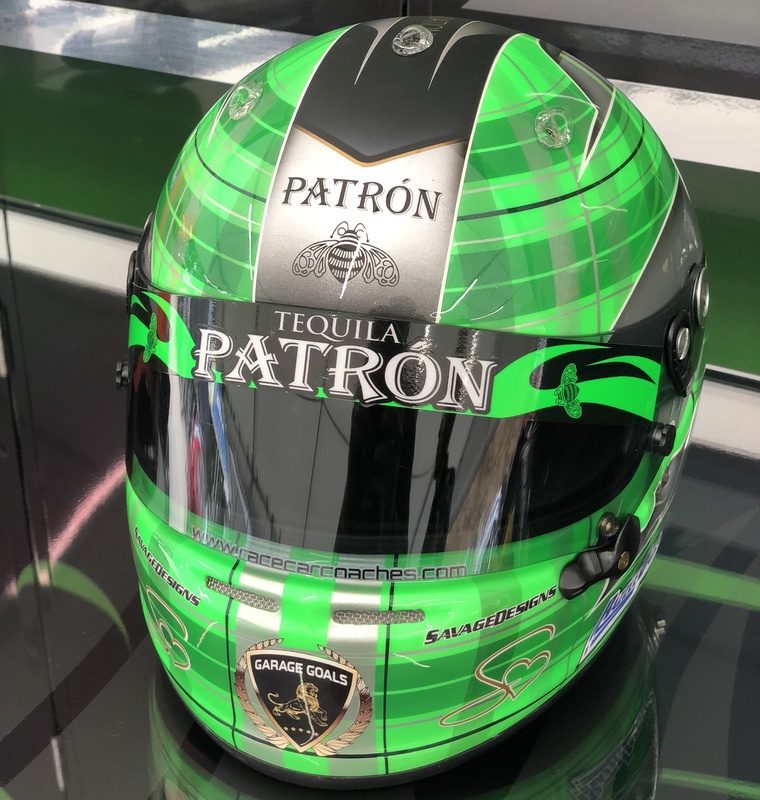 After five seasons with Tequila Patron as my primary sponsor at Extreme Speed Motorsports, this great company led by Tequila Patron CEO Ed Brown will no longer be sponsoring a Sports Car Team. What Ed and Tequila Patron have done for not just myself, but Motorsports in general has been nothing short of amazing. 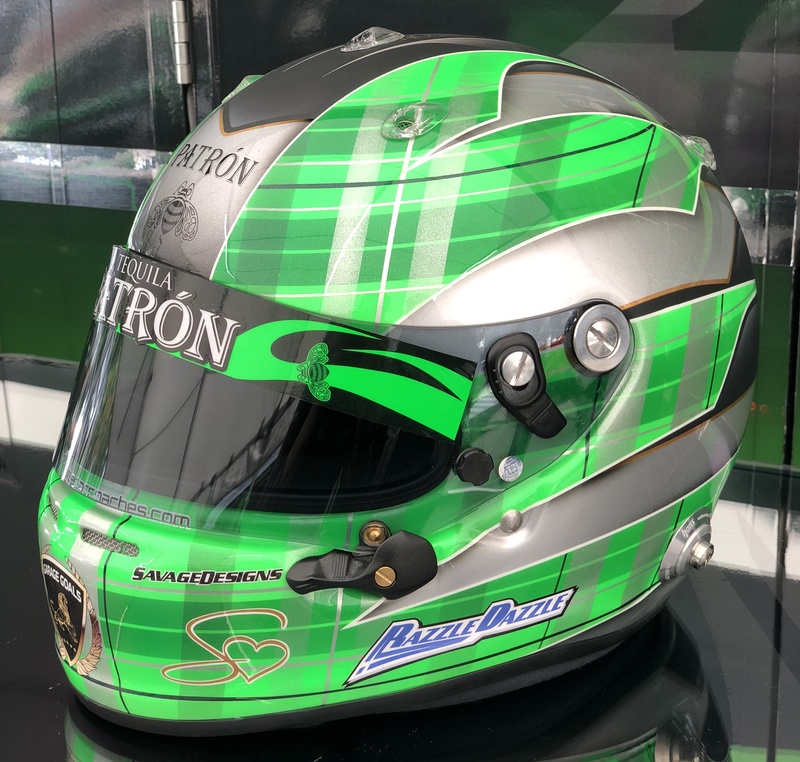 Ed has given employment to dozens of drivers and crew members over the past decade, and I wanted to honor him by creating this one-off helmet inspired by Tequila Patron's iconic colors of Green and Silver. 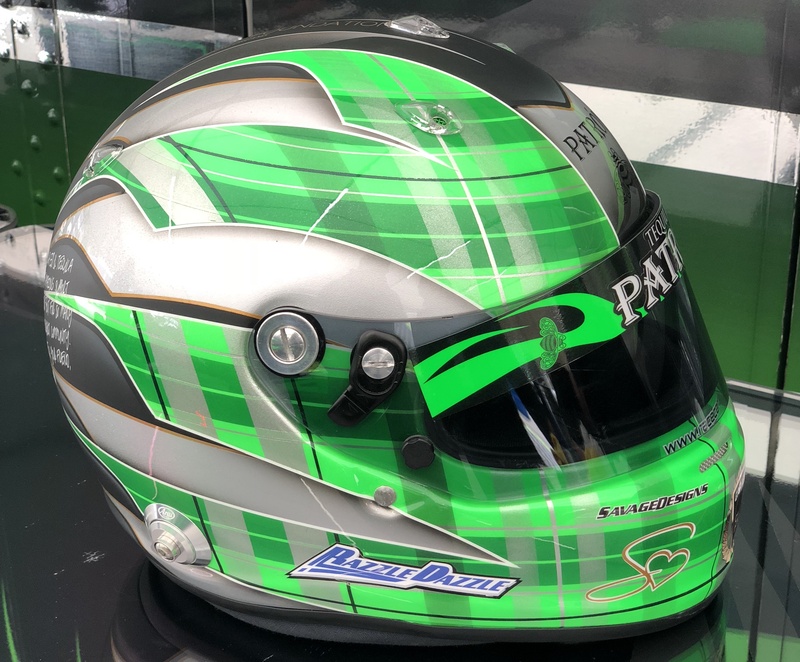 This helmet will be signed and used by me at the 2018 Motul Petit Le Mans race at Road Atlanta, GA.
Ed and his wife, Ashley, also run an amazing charity - Selfless Love Foundation. SLF is dedicated to transforming the lives of current and former foster youth through awareness and strategic partnerships. 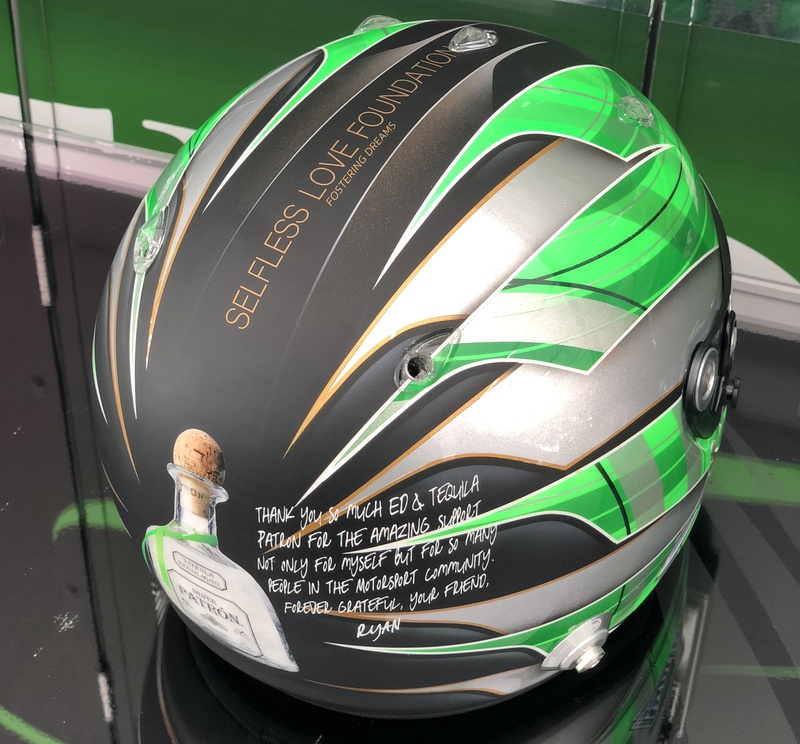 It’s a charity that my wife and I truly support and so we wanted to use this helmet to generate awareness, with all proceeds from the auction going to Selfless Love Foundation. Ed and Ashley have become like family to me, and I just want to say thank you for all you have done for my wife and I, and so many others like us. After the raffle concludes the helmet will be mailed to the raffle winner. The helmet is an Arai GP6 - RC designed and painted by Savage Designs. 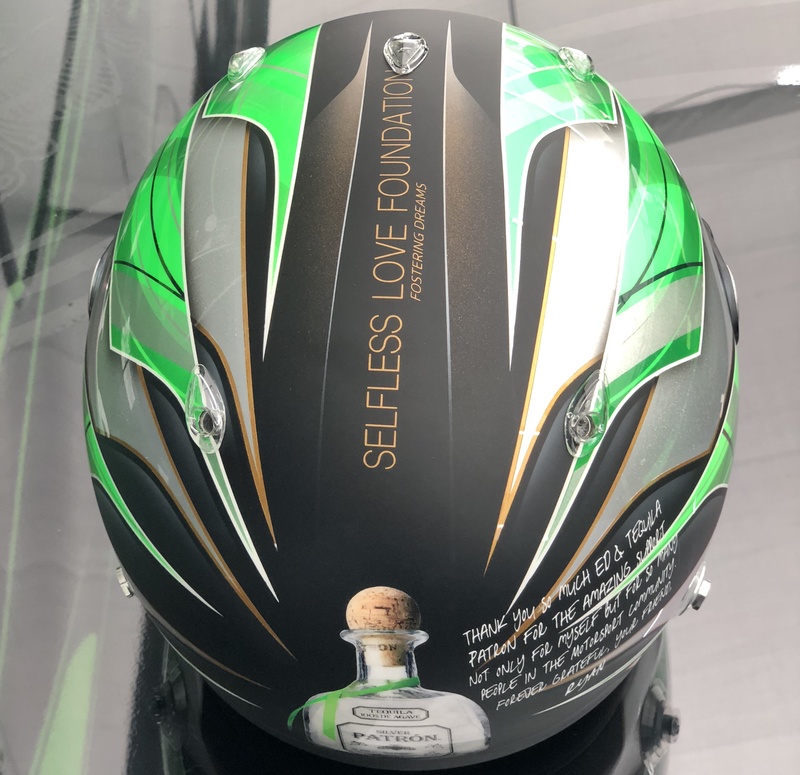 The helmet is a one off design taking my standard race helmet design and incorporating the Tequila Patron colors and adding the Selfless Love Foundation logos.